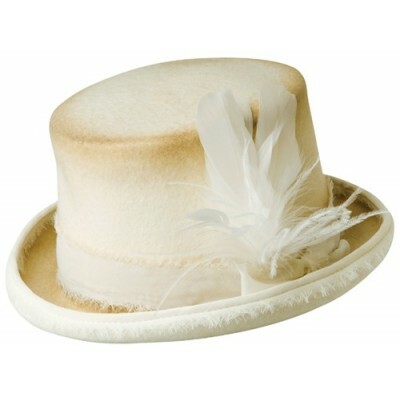 Get a sophisticated and classic vintage look for your black tie occasion with the Vivienne Top Hat by Bailey. It is can be used to dress up a man or woman's outfit and can be carried with confidence. 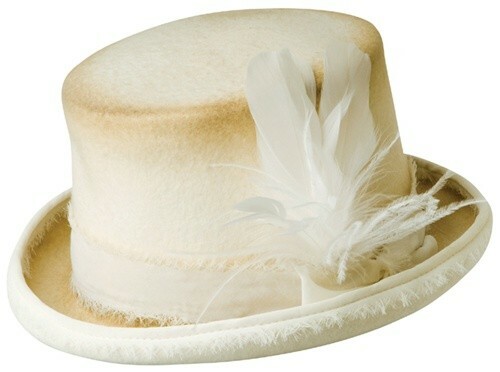 The hat features a vintage dusted look that is shown off with the feather accents.